For the past five years, I’ve been an extremely enthusiastic fantasy football player. Like, obsessive to the point of having nine teams at once. Contrary to popular belief, its possible to overextend your coaching capabilities, folks. This year, I don’t have a single fantasy football team and I’m choosing not to watch any football games. Everyone takes action in their own ways, so no judgment for anyone else’s choices, but I’m tired of supporting a sport that values entertainment over brain damage, violence against women, and robs players of their right to have an opinion. Although I miss watching football on Sunday mornings, I realized I can still make all of the delicious football snacks with a vegan spin. 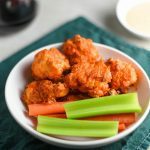 It feels like a righteous punking of American tradition on both counts and I’m a sucker for non-conformity, so it’s my pleasure to introduce you to these delicious cauliflower buffalo wings. 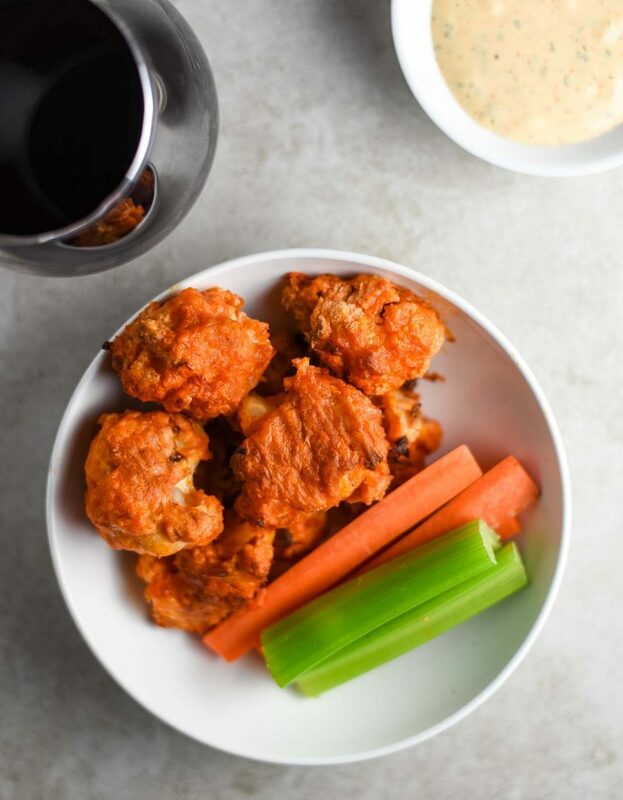 These cauliflower buffalo wings are a healthier version of the time-worn classic with the same popping flavor and without the annoying bones. 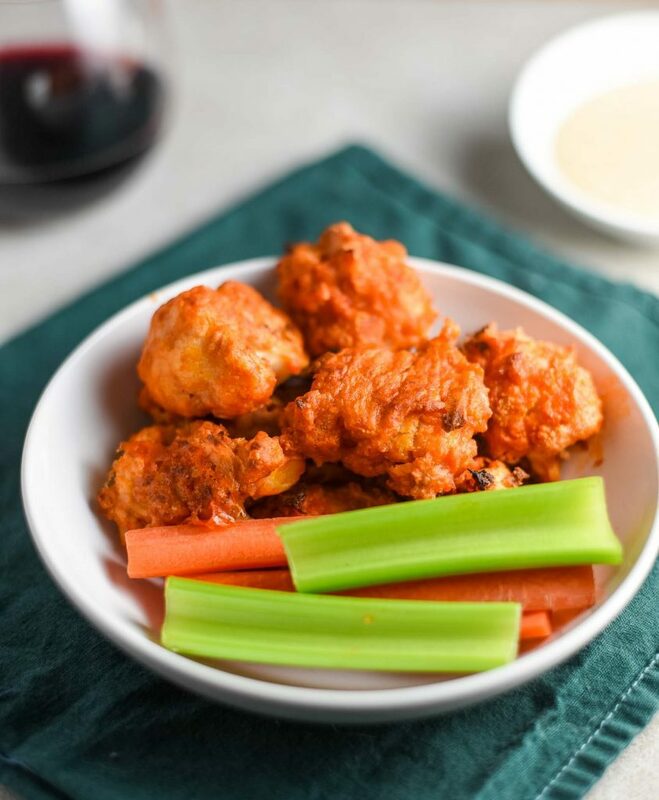 They’re breaded with paprika panko bread crumbs, baked in the oven, and then covered with a Frank’s red hot sauce for your quintessential fire. Pair them with some vegan ranch, baby carrots, and celery sticks and you’re in for a classic sports food treat. So here’s to a spin on standard sports grub that can be their own form of rebellion when served on football Sunday. We’ll likely pair ours with the WNBA or NWSL but bonus points for leaving the TV off all together and giving these babies your full attention. Leave a comment, rate the recipe, take a picture, and tag it #plantandvine on Instagram. Extra points for including your complementary activity (athletes not required). Gewürztraminer: Wings can be spicy so you don’t want your wine to get in a fight with the spice. Go light, fruity, and sweet with a Gewürztraminer so your Frank’s red hot doesn’t turn your wine into a bitter drink. Zinfandel: I’m into Zinfandels these days. I’m impressed by Zinfandels’ ability to pair. They’re versatile with soft tannins, high fruitiness, and medium body. Riesling: If you love cauliflower buffalo wings but feel like you’re on the edge of a three alarm mouth fire, go with a chilled glass of Riesling. It’s crisp, sweet, and light and perfect for dousing spiciness. 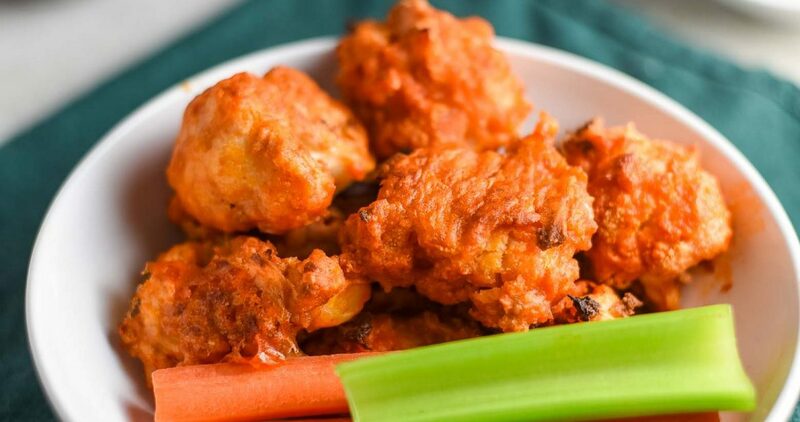 Cauliflower buffalo wings – crunchy, spicy, and healthy deliciousness. Preheat oven to 450 F. Line a baking sheet with parchment paper. Wings will stick unless lined with parchment paper so this step is important. Prepare batter by mixing flour, garlic powder, and smoked paprika together with milk. Keep the breadcrumbs separate for now. Slowly add additional water or milk until desired consistency is reached. Stir with a whisk or fork until well combined. The batter should be thick but pourable. If it’s too runny, it won’t adhere, so add only enough water to reach the desired consistency and add additional flour if it gets too thin. Once oven is preheated, add the cauliflower to the batter to coat. Shake off excess and lightly roll in breadcrumbs. Place on baking sheet. The pieces should not be touching so you may need to do two batches, depending on how large your cauliflower and pieces are. Prepare the sauce by whisking together hot sauce and butter. Once the cauliflower has finished baking, remove from oven. Drizzle sauce over cauliflower, then stir to coat all sides. Return to oven, baking another 15-20 minutes. You can also broil for final 3-5 minutes, being careful not to burn the wings. 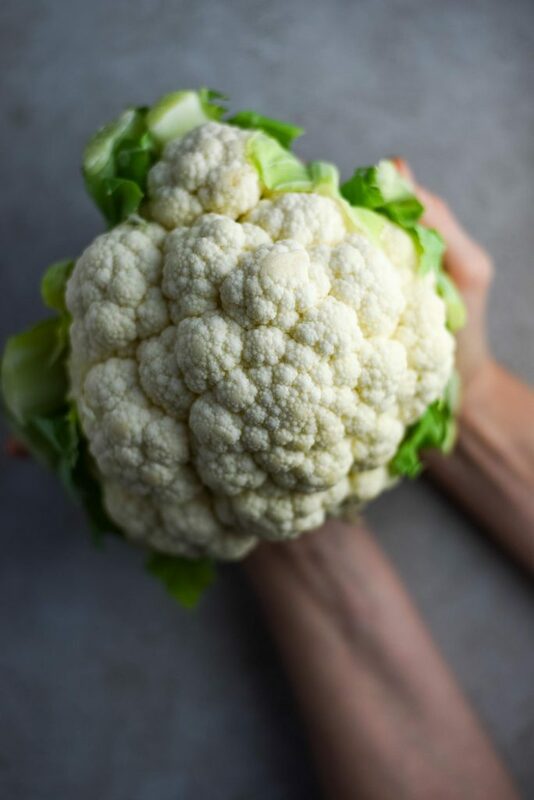 Let cauliflower cool slightly and then serve immediately. Best when fresh. Store in covered container in refrigerator for up to 2 days. Yeah, it is definitely challenging to say goodbye to watching football but on the positive, I love having my Sundays free again. And soccer is a great substitution too!